Butterfly Baby Place: Back to School SALE!!! I decided that it's high time that I do a sale in my shop. What better time than back to school? 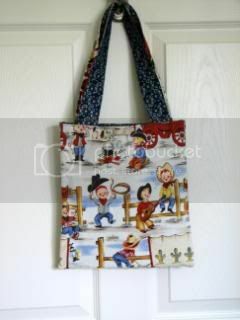 So, all Preschooler Tote Bags are 10% off through September 15th! The price listed in my shop reflects discount. I'm always willing to make something new from any of the fabric I have listed here or in my shop and this discount applies to all fabrics/custom orders! I just found your blog through your etsy shop (you have such cute pillowcase dresses!) and I wanted to say hi! I am a 24-year-old who also enjoys sewing (but it's a new hobby to me). Keep up the cute clothes and many blessings for your shop!